Whether you are looking to become a professional blogger as your full-time career, or you will just be taking on blogging duties at your current job or for your own company, there is definitely a learning curve involved. Just like any job, there are tips, tricks, and advice that can help you to be much more effective in terms of your blogging. 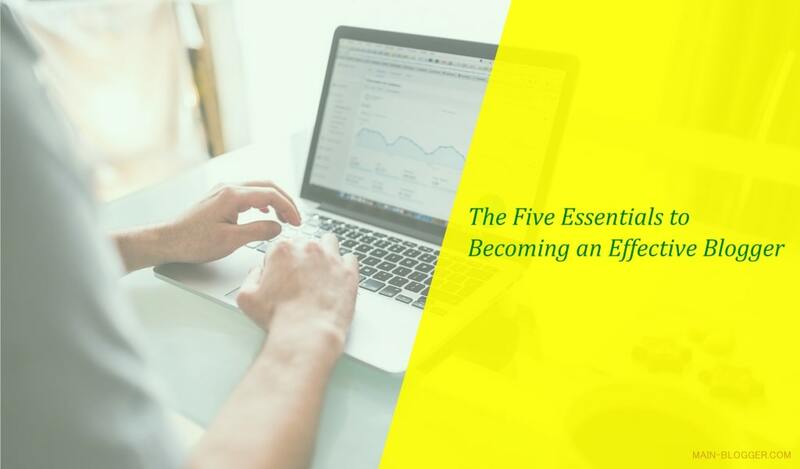 So, before you jump right in ready to tackle this new responsibility, you may want to take a look at these five essentials in becoming an effective blogger. Let’s start with the absolute basics of becoming an effective blogger, and that’s to have the proper equipment to make blogging possible. You'll need a computer that has a strong and fast internet connection, and possibly word processing software. While many people are quick to snap up a laptop, the smaller sized screen can end up causing eye strain if you plan on being on it a lot. A large high-quality 4K monitor can be the smarter investment. The GPU Nerd Guide website is a great tool when researching the best 4K monitors on the market in 2018, providing you with the information you need to make a wise choice. While much of the focus and attention is on the content of the blog, the headline shouldn't be an afterthought. The headline is the first thing that readers will notice and you will either capture their attention or they will scroll right past the blog. Headlines should be short, right to the point, and catchy. They can actually end up being the hardest aspect of writing your blog, so don't be surprised if they take a little practice. Rather than creating a giant wall of text, you can create interest in your blog by including pictures and videos whenever it is relevant. Just make sure that the videos and pictures you include are high-quality and relate to the blog itself. Another way to prevent that giant wall of text from happening is to use short paragraphs. When people read things online they often scroll through the content seeking out the points that interest them. You can make it easier on the readers by using a lot of paragraphs, subheadings, and bullet points. Finally, there is the topic of SEO skills. This is an area that takes a lot of research, practice and perfecting in order to truly master it so don’t be too hard on yourself at the beginning. The bottom line is that you want to use all the SEO tools possible that will help your blog to rank higher in the Google search results. Becoming an expert blogger isn’t something that happens overnight, nor is it effortless. The more work, research, and time that you put into your blog, the faster you’ll become an expert in your own right.